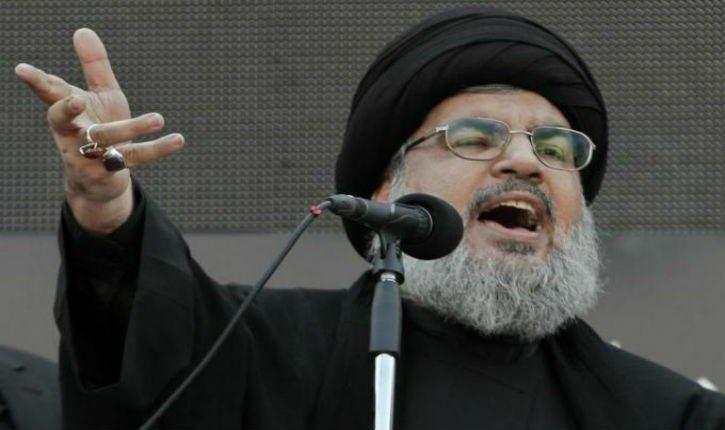 The chief of the Iran-backed terrorist group Hezbollah on Thursday threatened to attack Israel’s nuclear reactor in the southern city of Dimona. While Israel maintains a policy of nuclear ambiguity, having never admitted to or denied possessing nuclear weapons, international experts generally agree that it has at least 100 nuclear warheads. Nasrallah delivered his speech on the 9th anniversary of the death of Imad Mughniyeh, Hezbollah’s former chief military commander. Mughniyeh was responsible for the deaths of hundreds of Americans and others on behalf of Iran, and masterminded the 1983 attack on the U.S. embassy and Marine barracks in Beirut, Lebanon.